Looking for a Well-Built, Affordable, and Comfortable Home? Looking for a Well-Built, Affordable, and Comfortable Home? Buy a Factory built home. If you have never considered a Manufactured Home then you owe it to yourself to investigate the quality and amenities they offer today. The factory built homes now are simply better than site built. Manufactured Homes are constructed to specific Wind, Thermal and Roof Load Zones depending on the region and they can handle the travel from where they are constructed to where they will be sited for their new owners. The large house sections you see on the highways are generally one of two main types of factory built dwellings which differ in the building codes to which they are constructed. First, Manufactured Homes are built to the nationally pre-emptive Federal “HUD Code”. The second type Modular Homes, are built to state specific codes. Manufactured Homes are built on their own transportation system. Modular homes have a detachable transportation system. Once completed both homes are virtually indistinguishable in finish and appearance when built to the same standard. Lumber is precisely cut to fit reducing cost and minimizing waste. Mostly any finish and options can be built into your new home. On-site additions complement the completed house you desire including porches, decks and garages. A well-built home not only stands the test of time but is more comfortable and affordable through its energy efficiency. Come to one of Jensen’s Open Houses to see and experience the difference. Besides the superior construction, you will discover homes with style, efficiency and convenience to fit your lifestyle. Moving can be emotionally and physically exhausting. What then motivates someone to make a move? The decision is personal and sometimes not too obvious. Everyone has their own story and reasons. It usually has a lot to do with not being content in one’s current home or location. If you are not satisfied why stay in this home? If you have started “looking” but believe you are still years away and just doing your homework, consider these few helpful questions to determine how serious you are for a new home. What items can you do without when you make the move to your new home? If you had $35,000 to fix up your current home, how would you spend it? What could a perfect weekend morning look like in your new home? If you choose to stay in your current home, what are you missing out on? Once we better understand why we are looking around in the first place we can start to formulate a new vision for our future home. 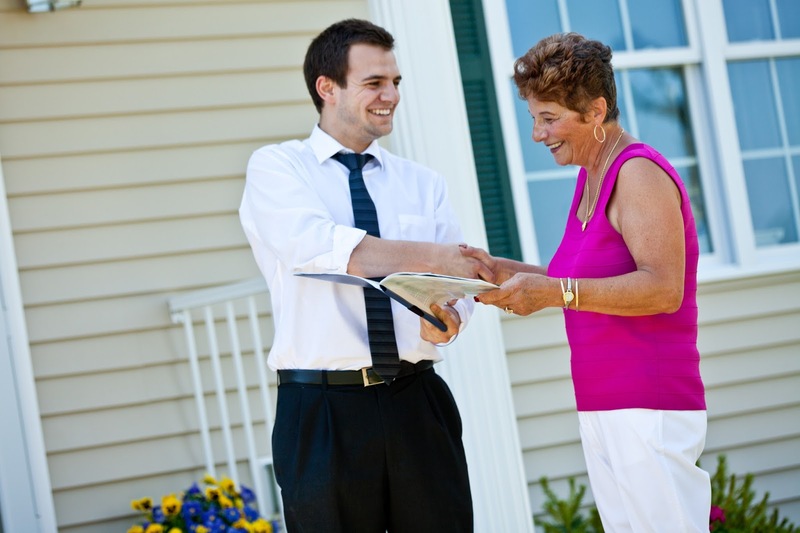 At Jensen’s we are glad to help by talking and working with you. Come visit one of our communities and we are here to help. Manufactured Homes are built off site in a factory so how does one purchase a home? Who sells them and what is typically included? This depends on the area you live in and whether you plan to site the home on your own land or in a manufactured housing community. In some areas of the US where homes are sited on individually owned sites there are generally MH Dealers with sales lots. Manufactured Home Dealers generally have several homes on display so you can see the type, size and quality of homes of interest to you. Homes can be purchased “right off the lot” or as a custom order home which are built at the factory with all your requested specifications. 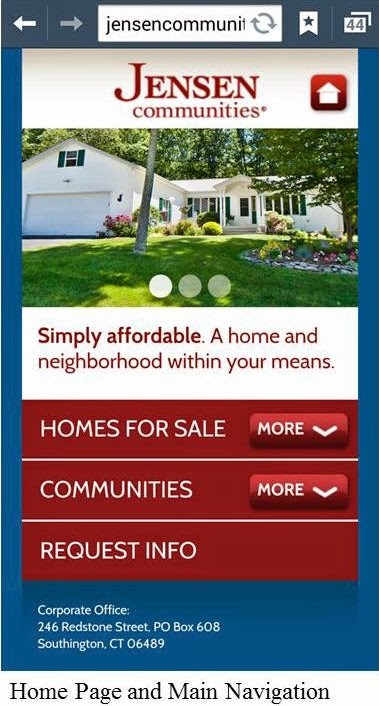 Typically MH Dealers offer homes from several different manufacturers. It is important when purchasing from a MH Dealer to understand what is or is not included in their price. Usually, the initial price will include the house, taxes, delivery (within so many miles) and set up, but not any site work or other features such as porches, garages, decks or patios to complete the home unless agreed to in writing. If the price seems too good for a completed home, it may not be, so be absolutely clear on what is included in the quoted price. 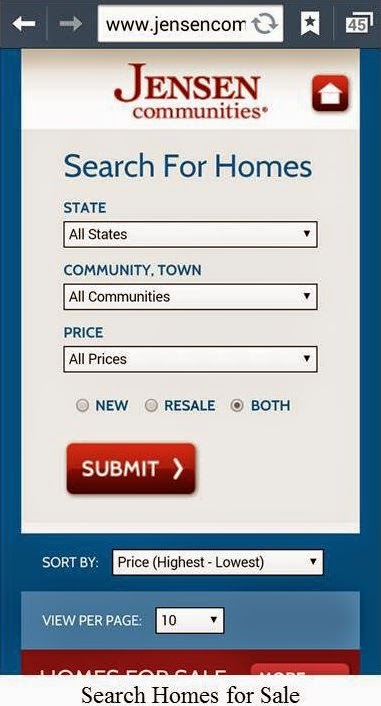 In most states with Jensen communities there are not many MH Dealers because most homes are sold by the owners of MH Communities. 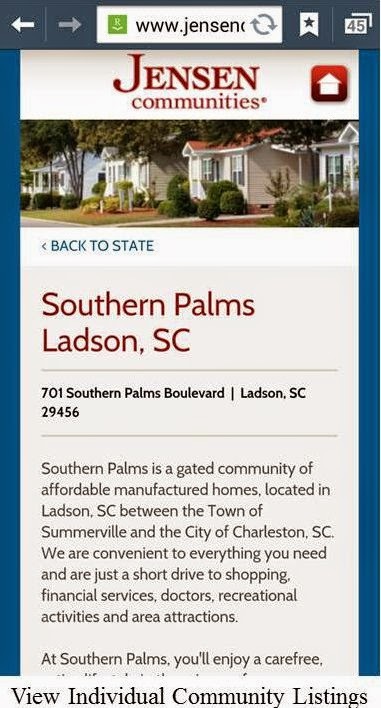 Newer communities may have a model center where you can view several home plans offered. More typically, homes are on the site where they are shown as models until they are sold in place. 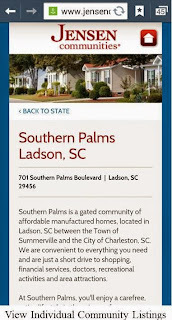 With several available home sites, buyers can custom order a home with the plan they like best and select all the options and upgrades they desire. It is important for you that the community has established a quality standard to which each home will be constructed, set up and maintained. If all homes meet a minimum standard, it will better protect your quality of life in the community as well as your investment. Purchasing a home from a community owner usually means a complete or turnkey package whether the home was a model or custom order. Learn what the community offers so that you understand up front what is or is not included. Always get it in writing. While there is always work moving into a new home, the construction and finishing should be done for you by your Builder/Dealer. MH Builder/Dealers like at Jensen communities® aim to make the purchase of a new home seamless for their customers. 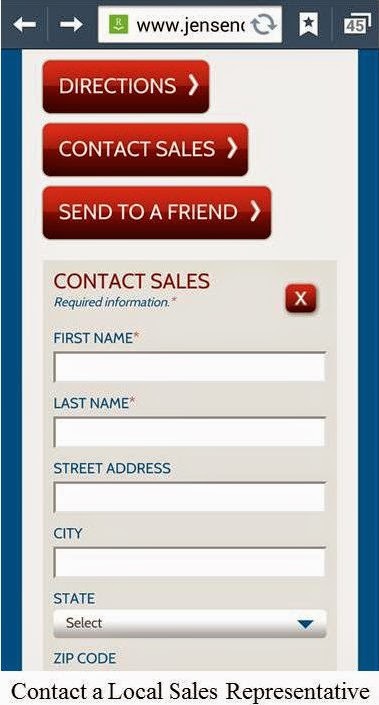 Even though your home is being built by the chosen manufactured home factory, the ordering, contract and after sale service requests are all completed with the MH Dealer (the home’s warranty is directly through the Manufacturer). Keep in mind that while the home is being built by the Manufacturer, the onsite Dealer (or its contractors) constructs the foundation for the home, grades the site, installs underground utilities and orders materials for any optional additions (i.e. 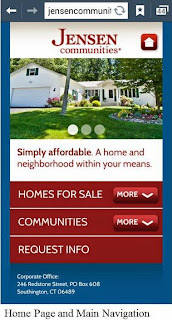 porches, garages, decks or patios) that they may add once the home has been set. A finished home most often includes a paved driveway, walks and landscaping. 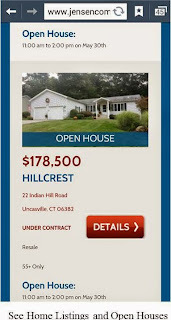 Professional and qualified MH Builder/Dealers are ready to help you find your dream home. The Sales Representatives and Community Managers at Jensen’s are eager to help you Get in On the Good Life!® in a Jensen community®. 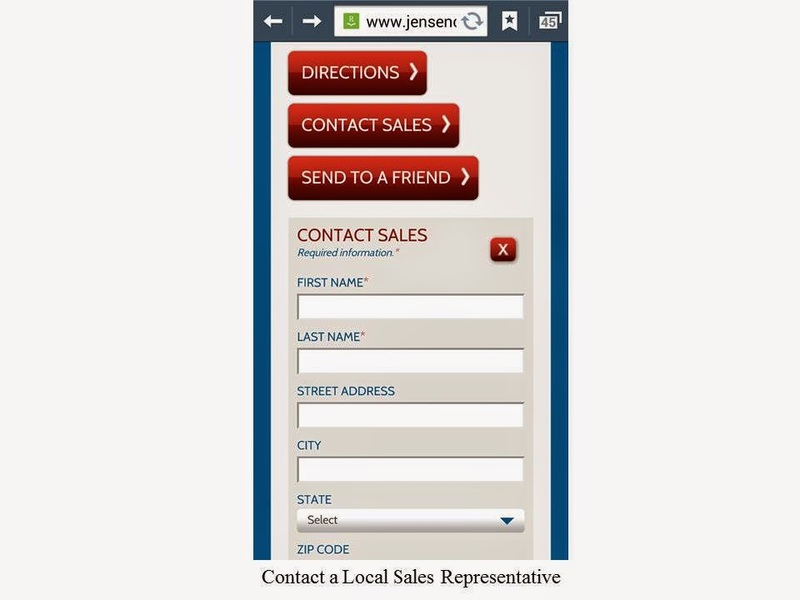 With the significant demand of mobile device search use, Jensen’s now provides you with a more “on the go” mobile version of our website. 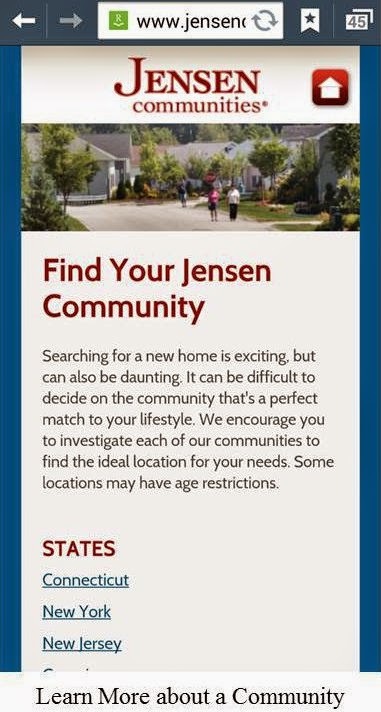 We know many are using it already to find Jensen communities and homes for sale. 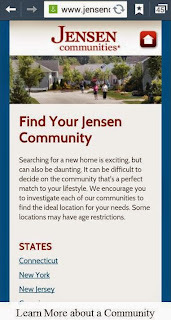 You can also obtain directions to each Jensen community as well as to each Home for Sale. We hope you find it helpful and welcome your comments! An Energy Star Home provides you with a more comfortable home as well as one that will save you money with lower operating costs than one not built to the same standards. “ENERGY STAR is a U.S. Environmental Protection Agency (EPA) voluntary program that helps businesses and individuals save money and protect our climate through superior energy efficiency.” You can learn more at www.EnergyStar.gov. Each Jensen house manufacturer (with few exceptions) builds their homes to obtain an Energy Star label. Typically, Manufactured Housing builders utilize a “Performance Path [which] is based on a customized package of upgrades” to obtained the desired energy efficiency. Lowering monthly expenses is on everyone’s minds. Money we don’t need to pay for electric, gas or oil each month is a dollar we can use to pay down credit card bills, the mortgage, or into our savings. Buying a new Energy Star Home complete with Energy Star rated appliances reduces your monthly expenses below that of comparable homes and appliances. In fact, buying an Energy Star Home may even qualify you for a larger home and mortgage due to the expected lower expenses. And once you have made the modest upfront investment, an energy efficient home pays you back every month with lower utility bills. Manufactured homes are inherently tighter and less drafty than many site built homes. They are built in climate controlled environments, the framing lumber is more typically cut on larger and more accurate saws, and floor, wall and roof systems are framed on jigs to ensure good fit. The additional sealing, gasketing, and insulation typically needed to make a manufacturer’s homes Energy Star are easily completed in the factory setting. So besides the money you can save with an Energy Star Home, you get the added comfort of a tightly built house. New home buyers very often say, “Wished we moved sooner”. What are you waiting for? People start looking for a new home mainly because they are unhappy with their current property. The home hasn’t changed drastically over the years but the way we live in them and who lives in them does. A home does not meet our needs forever. Neighborhoods change and sometimes are no longer familiar to us. Making a move can seem like it will take more time and effort than what it’s worth. But that is usually not the case at all. 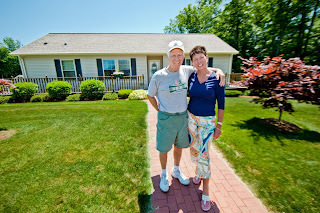 Moving to a new and more accommodating home can add years to your well-being. Here are twelve reasons to move Right Now! Spring is almost here and people are ready to buy your current home. Interest rates are still outrageously low for buyers looking at your home. 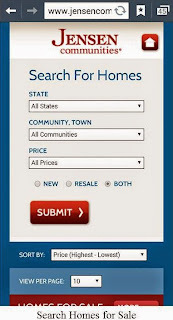 It is an excellent time to buy and get a great price on a new or resale home. Reducing monthly housing costs would give you more money for other enjoyable purchases. Right-sizing your home will give you more time to do what you want. A home in a private community will make leaving and traveling easier. A new modern master bathroom with double sinks, a walk-in shower and linen storage would be a refreshing change from your outdated bath. An open floor plan would add fun to entertaining family and friends. You can still enjoy gardening; just not have all the grass to mow or leaves to rake. Why clean rooms that you never use? You’re ready to meet new friends and neighbors. A change now makes sense and will be good for you. What got you thinking it is time to move in the first place? Be honest with yourself (and your significant other) on what you want to do with the rest of your life. Then find the best home that you can enjoy and more importantly that will fulfill your dreams. We’re here to help. Right Now! All homes need a firm foundation. When you start building from the ground up, it is essential that the foundation used will support the house indefinitely. Since the mid 1980’s Jensen communities has utilized monolithic concrete slabs (or a full perimeter concrete foundation in some of our newest communities) as a “best practice”. People moving to a retirement community (or just a smaller home) do not need a basement and to save on costs, the concrete slab is the best suited for the task of supporting today’s modern (and solidly built) manufactured home for years to come. A concrete slab will not allow variations under the home’s concrete piers and practically eliminate re-leveling. It also creates a better base on which to install the perimeter skirting (especially the bottom track) as well as making it easier to landscape against (and not pile top soil or mulch against the skirting). The slab allows plumbers, electricians and HVAC professionals to complete their work above ground level. There are several things you should look for in a correctly built concrete slab used for a manufactured home foundation. Jensen’s starts with setting the grade for the site to ensure that water will run away from the home. Then, crushed gravel and stone are laid on undisturbed soil and compacted before the slab is formed. In some soil conditions and climates, extra footings are dug under the home’s pier system or around the outer edge to make the slab even stronger. The bulk of the slab is about 6” thick and poured with fiberglass or wire mesh for extra strength. To see a video of the Concrete slab, Click Here. The slab is made 4” to 6” wider than the actual home to provide a “reveal” and ledge to install either vinyl or brick skirting to dress up the underside of the home. Home tie-downs are anchored directly into the slab and then steel straps are run to the I-Beam frame of the home securing it according to the manufacturer’s installation manual. Using a full concrete slab also allows the home’s electrical service to be directly mounted on an exterior wall saving costs and extra equipment resulting in a much neater look to the yard. Setting a proper grade and landscaping up to the slab prevents water from getting under the home. We take pride in what is under our homes because we know it is important to you and your home’s longevity. Ask your sales representative to show you the quality of a Jensen foundation.